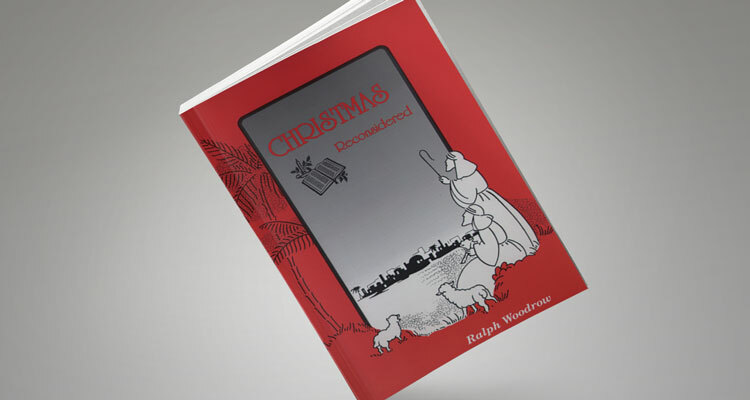 Most of us have heard the negatives about Christmas: Its observance is not commanded in the Bible. The Bible does not spell out the date of Christ’s birth. It is highly commercialized. Some claim it all started in Babylon, that December 25th was Nimrod’s birthday, that the Christmas tree honors Tammuz, that round-shaped decorations are images of the sun-god Baal, that placing a star on the top of the tree came from astrology, that “Satan” and “Santa” have the same letters, and that the very word “Christ-mas” is of pagan origin. CHRISTMAS RECONSIDERED shows that many of these claims are based on misinformation, are fruitless and foolish. Is Christmas simply an ancient pagan festival to which the name of Christ has been falsely attached? Is it wrong to attend family gatherings at Christmas? Is the giving of presents wrong? Should parents take children out of school lest they take part in Christmas plays? Did Jeremiah really forbid the use of a Christmas tree? Should we avoid “Santa Claus” in the shopping mall-like he was Satan incarnate? Even within the Bible, while some days were observed by commandment, others were observed simply by custom. To imply that anyone worships a Christmas tree is silly—if it were really considered a god, why would it be burned up or thrown out for the trash pick up? Which Nativity Date is Correct? Shepherds in Fields in Winter?